Host, actor and former U.S. Marine Corps Drill Instructor, R. Lee Ermey, keeps the home makeover in line with help from presenting partners Budget Blinds and Navy Mutual. DEERFIELD BEACH, Fla. - Nov. 29, 2016 - PRLog -- In the latest episode of Military Makeover, the renovations on the Phinizys' Kendall, FL home continue. Tune in as the projects start to come together, Friday, November 25, 2016 at 7:30 a.m. (ET/PT) on Lifetime® and again on Friday, December 2. Talk about dedication to our veterans! Tracy Christman and Budget Blinds are back for their fourth Military Makeover in a row! Watch as local expert Jeremy Sherman comes up with window covering solutions perfect for the Phinizys: composite shutters for the young children and beautiful drapes for a wounded warrior needing some cool, calm spaces. With a couple of arched windows and kids needing child safe features, the customized, cordless shutters were the perfect, attractive design choice. Composite shutters are also low maintenance and easy to clean, ideal for the Phinizys' home in the high-moisture climate of South Florida. Drapery in the master bedroom and family room came from the Inspired Drapes Panel Collections. The end results: safe, comfortable, and beautiful window treatments! Go to www.budgetblinds.com to see everything Budget Blinds has to offer your family. Navy Mutual Aid has a long tradition of serving those who serve. Since 1879, Navy Mutual has been committed to supporting military members and their families. They are the nation's oldest Veterans Service Organization, as well as a mutually nonprofit that offers affordable insurance, annuities and financial education specifically crafted for current and former members of America's military services. 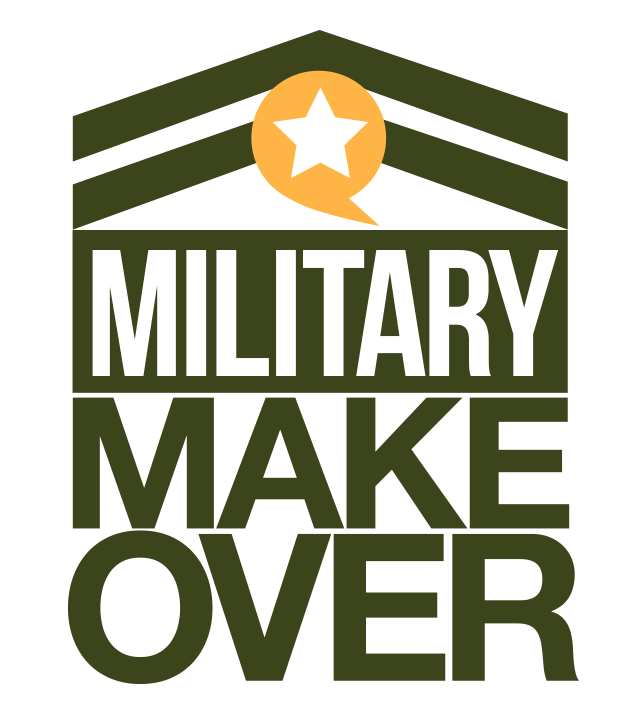 On this episode, Navy Mutual returns to Military Makeover as the Presenting Sponsor to make a true difference in the lives of the Phinizy family. Find out more at www.navymutual.org. From the producers of the award-winning home decorating and remodeling show, Designing Spaces®, Military Makeover is a very special mini-series dedicated to giving back to members of our military and their loved ones. Enlisting the help of decorators, designers, landscapers and other home renovation experts, our host, retired United States Marine Corps Staff Sergeant R. Lee Ermey "The Gunny" helps change the living situation – and the lives – of these deserving individuals. All of the episodes are available at http://www.militarymakeover.tv.